Memorial Day. Veterans Day. Independence Day. Christmas. Thanksgiving. These are the days of the year when many Americans focus their thoughts and generosity on the men and women who are bravely serving in the armed forces overseas. No matter what your opinion of U.S. foreign policy, one thing that shouldn’t be divisive is supporting our troops. And you needn’t wait for a holiday to do your part. Year round, men and women who are serving in dangerous conditions would appreciate any spare cigars you can send their way. If you haven’t done it before, mailing cigars to troops really couldn’t be simpler. Just use a free USPS flat rate Priority Mail box and fill out a brief customs form. The postage is the same to an APO box as it is for domestic shipping. Delivery will take a bit longer, though, so be sure to provide adequate humidification to keep the sticks from drying out. Excellent commentary, and I couldn't agree more. Never occurred to me to send smokes to the troops — but I'm sure those guys are deserving and grateful when they recieve them. This is a great idea. I have too many cigars in my humidor, most of which I will never get around to smoking. Putting together a care package right now! Good Evening from Afghanistan. I’m here in Bagram, Afghanistan, and wondering if you could send some cigars to our TF MED-A/ HHC 1st Medical Brigade Soldiers. Would you be willing to support some terrific Soldiers over here in that endeavor? Thanks for your time, and hope to hear from you very soon – God bless you and yours, and God bless America. Thank you everyone continuing to support our troops out there in harms way! Hello from AlUdeid AB. I was wondering too if anyone could send some cigars to our unit. Last time I was in Manas there was no shortage of Cigars, but there is here. I have been here 2 months with 4 more to go and I have not seen any. we would appreciate any help here at Air Force Central Command Logistics. If anyone is still interested in donating, we have a lot of great young soldiers that are going to be away from their families this xmas here at FOB Shank. Thanks again, and god bless. Ron, I'm sticking a few bags of cigars in the mail via USPS flat rate box to above address. Not sure the delivery time frame, though hoping they get there by Christmas. Merry Christmas and thanks for your service. 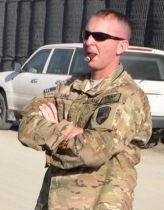 Recently my unit was deployed to Afghanistan and we have found that cigars are hard to come by especially in the smaller FOB's like mine (FOB Goode). If anyone is willing to help support my unit please contact me at rgandara147@yahoo.com and I will give you my APO address. If anyone is interested is sending some cigars to my Airmen deployed please email me at (magicman3487@msn.com). I know a lot of the guys out here haven't had a cigar since we left home, so they would definitely enjoy it. If this site still works I'm in Afghanistan now and was wondering if anyone would care to send some cigars this way. My email is skarl0278@aol.com and I would gladly send you the apo address. Hi Im PFC Retzloff from the US Army. I am deployed to Bagram Airfield Afghanistan for 12 months. I am writing you to see if you send cigars to troops like myself. If you do I would be really grateful if you could send some my way. Thank you verry mush.